But wait a minute. More than 270,000 pedestrians are killed by vehicles each year, while well over a million are injured. That means almost a thousand are killed, and perhaps three or four thousand injured, every day. Now who would do a thing like that? As in all criminal cases, we must answer that question with another: Cui bono? Who benefits? So whoever did this presumably wants to convince you to give up your hard-earned money, and perhaps your freedom as well, and support the hyper-militarization of the West — and an accelerated war against Muslims. Just like the previous London attack in July 2005! Watch terror consultant Peter Power confess that his company was running “terror drills” at the exact times and locations that the real bombs went off! The Israelis are desperate to drag the West into the Israeli war against Islam, Muslims, and Middle Eastern people in general. 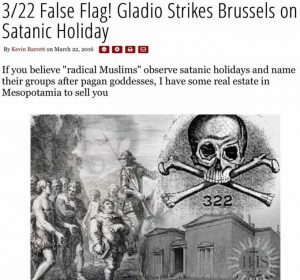 That is why virtually every major “Islamic terror” event since the Cold War ended in 1989 is a known or suspected Gladio B operation with Israeli fingerprints all over it. And yet another sign of a false flag is iconic location. London’s Parliament, with Big Ben in the background, is as iconic as they come. That’s why the filmmakers in V for Vendetta chose it for their most spectacular scenes. 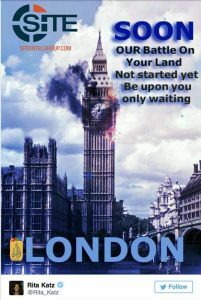 London’s Parliament is also the site of the false flag that created the modern world as we know it: the gunpowder plot, in which “radical Catholic” patsy Guy Fawkes was set up with a barrel of wet gunpowder beneath Parliament in a fake terror plot designed to whip up hatred of Catholics and unleash a century of war against Spain and Portugal. Did we just witness a modern-day “gunpowder plot” false flag? The perp with a car and a knife posed relatively little threat, statistically at least, but garnered billions in free publicity; just as Guy Fawkes posed no threat whatsoever to Parliament with his wet gunpowder, yet provided British imperialists with the equivalent of billions in free publicity and launched the wars that created the British Empire. In this case, however, it is the Israeli Empire, not the British Empire, that stood to gain the most from the crime. And it gets better (or worse, depending your point of view): Ishtar “was particularly worshipped in the Upper Mesopotamian kingdom of Assyria (modern northern Iraq, north east Syria and south east Turkey).” That would be the territory that is currently ruled by … you guessed it … ISIS. So to sum up: It seems the ISISraelis are continuing their heroic efforts to convince the West that “radical Islam” (i.e. the Palestinians that Israel is exterminating) are a threat to all of civilization. Maybe it’s time to set off the chimes in Big Ben’s belltower and wake the world up to the truth? *Is it just a coincidence that massive ‘terror drills’ were held on the River Thames a few days before this event? *Is the guy in the kippah taking selfies in front of the “carnage” another Dancing Israeli getting souvenir photos of an operation he participated in? (The Dancing Israelis famously took photos of each other celebrating and flicking cigarette lighters in front of the burning and then exploding Twin Towers.) Is “Kippah Guy” going to start showing up taking selfies in front of every terror-carnage scene, along the lines of what Mossad-linked Richard Gutjahr did last year? *Did Rita Kaatz and SITE Intelligence Group – an unofficial branch of Mossad – just take credit for London attack? If not, why would “radical Muslims” use the Israeli Mossad as their public relations agency? *Was alleged London attacker Khalid Masood “on the radar” of MI5 (like almost all false flag patsies) because he was an intelligence asset? *Was this attack modeled after the extremely similar (and extremely successful) false flag attack on the Canadian Parliament that also happened on a “22nd” – October 22nd, 2014 – attributed to the patsy Michael Zihaf-Bibeau? For details, read Prof. Graeme MacQueen’s short book The October 22, 2014, Ottawa Shootings: Why Canadians Need a Public Inquiry (shorter article version here). *Did Bibi Netanyahu order this attack to save his own political skin, as Ian Greenhalgh suggests in his excellent new article? Are We Over the US/UK Fomented Crisis In Syria? Hardly.